Al Jarreau, the strikingly versatile, technically virtuosic singer who traversed jazz, pop, R&B, Brazilian music and more, died Feb. 12 in Los Angeles. His death was announced in a note from his management addressed to “friends, family and colleagues.” He was 76, and had cancelled his upcoming concert dates and retired from touring on Feb. 7, after being hospitalized for exhaustion in L.A.
Jarreau became a star in the early 1980s thanks to a series of R&B and pop hits including “We’re in This Love Together” and the title track from the album Breakin’ Away, which earned both pop and jazz vocal Grammy Awards. Other hits included “So Good,” “Mornin’,” “Trouble in Paradise” and the theme from the TV series Moonlighting, which made him a household name. Throughout his popular success, Jarreau always kept a toe touching the jazz medium where he got his start in the mid-1960s, and found himself digging deeper into the form as he grew older. Born March 12, 1940 in Milwaukee, Wisc., Jarreau discovered his love of music at an early age through singing in local church choirs and doo-wop groups, but both academics and athletics, including a tryout for the Milwaukee Braves, initially steered him in other directions. After earning a master’s degree in vocational rehabilitation from the University of Iowa, he moved to the West Coast to further his career. Unsurprisingly, the rigidity and routine of the profession proved to be a poor fit for the free-spirited Jarreau. 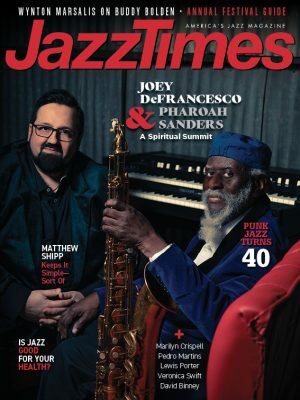 Fascinated by Afro-Cuban and Brazilian music, and strongly influenced by jazz vocalists Billy Eckstine and Jon Hendricks, he began moonlighting at jazz clubs, including a regular gig performing with a trio led by keyboardist George Duke. By the late 1960s, Jarreau had relocated to Los Angeles to further his career, and began developing a signature style that blended pop, R&B, Caribbean, Brazilian and vocalese. Regular gigs at the Improv and other L.A.-area clubs led to national television appearances including the Tonight Show and Merv Griffin Show. In 1975 he was signed by Warner Brothers and released two albums, We Got By and Glow, before winning his first Grammy—Best Jazz Vocal Performance, for 1977’s live double album Look to the Rainbow. Jarreau earned another Jazz Vocal Performance Grammy for his 1978 release, All Fly Home. His follow-up album, 1981’s Breakin’ Away, cemented his status as vocal virtuoso, earning a Grammy for Best Male Pop Vocal, with “(Round, Round, Round) Blue Rondo à la Turk” winning the award for Best Male Jazz Vocal Performance. Subsequent albums resulted in singles that charted in pop and R&B categories, including 1987’s Moonlighting theme and “So Good,” which reached No. 2 on the R&B charts in 1988. After Heaven and Earth, which earned Jarreau a Grammy for Best R&B Vocal Performance, he focused more on performing live, with album releases less frequent. 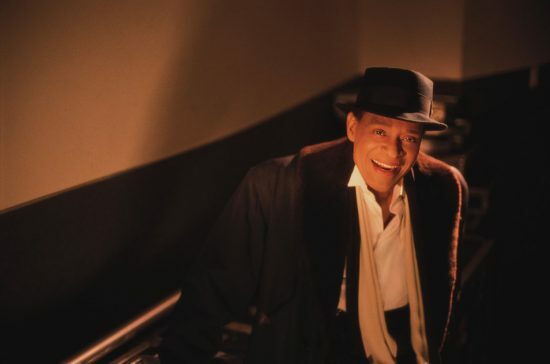 Throughout the 1990s and 2000s, Jarreau toured extensively, still the vocal adventurer but growing closer to the Latin, Brazilian and straight-ahead jazz that lured him away from 9-to-5 life. In 2004, he released an album of jazz standards, Accentuate the Positive, and three years later won another Grammy for his work on Givin’ It Up, a cross-genre collaboration with guitarist and vocalist George Benson. Jarreau’s most recent releases include My Old Friend, a tribute to George Duke, and the archival Live at Montreux 1993. Despite health concerns that first arose in 2010, he continued to keep an active touring schedule, and was performing up until the announcement of his retirement last week. For more insight on the career of Al Jarreau, read his recent JT interviews conducted by the magazine’s publisher, Lee Mergner, and by vocalist Roseanna Vitro.